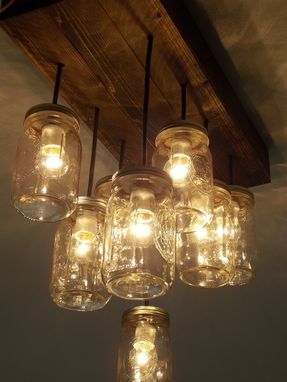 We love the mason jar chandelier and have made A LOT of them. 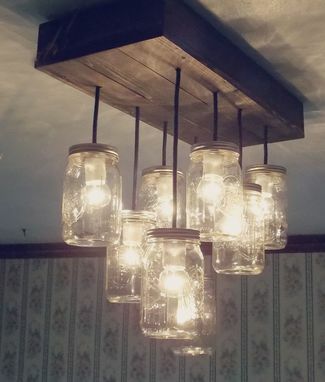 What started as a Pinterest project turned into over 300 customized lights. 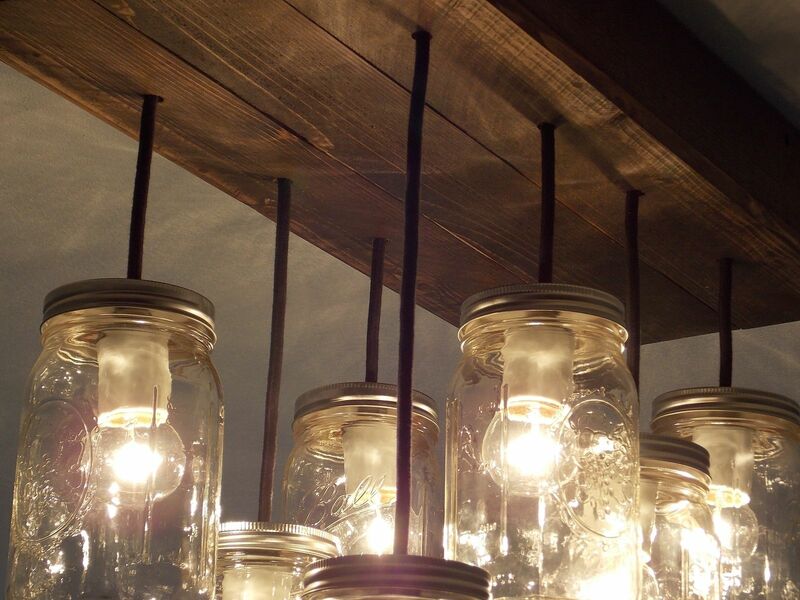 We started with this light pictured,the 8 light, and began customizing these lights for everyone. We stay reasonable with our prices and have perfected the design. 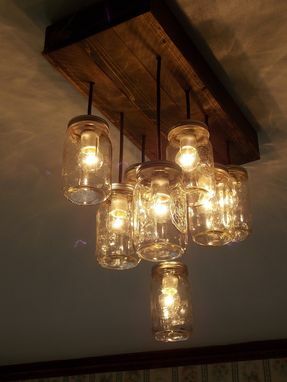 We love custom projects and we are now expanding from mason jar lighting to other lighting projects such as flam-less candle chandeliers and other chandelier designs.